Lock up your sources, it's time for And finally, a place where we trawl through the week's whispers to bring you the rumours you need to know about. We've already seen leaks all but confirm a smattering of new Samsung hardware, heard word of a Google Home Mini and seen the HTC Vive receive a permanent price drop, but there's plenty more news where that came from. To catch up on all this and more, head over to our dedicated news section. And if you want to know the latest on Samsung's flexible tech, a potential Google hearable and a Microsoft AR pen-wand amalgamation, read on. Samsung currently appears on the cusp of releasing its Gear Sport, Gear Fit2 Pro, Icon X earphones and a new Gear VR headset for the Note 8, but it's also got one eye on the more distant future, if a recently unearthed filing from Patently Mobile is anything to go by. The patent indicates the Korean giant is, as it has been rumoured to for many years, exploring the possibility of a flexible wrist-based device. 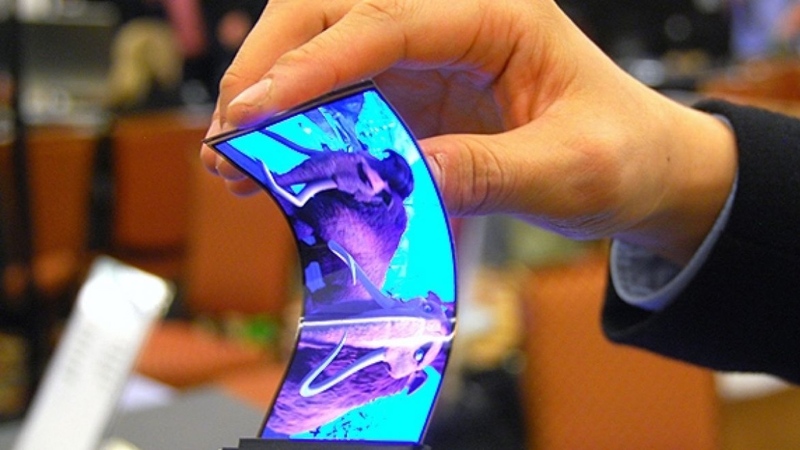 As the image from the listing shows, the prospective device possesses the ability to act as a wearable and smartphone, with a wraparound display present. As we say, this isn't the first time we've seen a device like this pop up from the company, and chances are it won't be the last. The intent certainly seems to be there, but the bigger question is when Sammy feels confident enough in the innovative tech to release it into the wild. Our bet is that day doesn't come for a while yet. Just when you thought the Bisto term would forever be reserved for gravy granules, Google has been working in the shadows and, if a report from 9to5Google is accurate, preparing a hearable with the same name. References to a Bisto device can be found in the latest beta version of the Google app, revealing that it's future-proofed for features involving the headphones. What's clear from the breakdown of the code is that the device will house Google Assistant — allowing you to listen to and reply to notifications, for example — and also be available for OEMs to work with, rather than just being a singular proprietary device. But while Google has set up its app to handle anything the Bisto headphones can throw at it, this doesn't necessarily mean the hardware will see the light of day. Perhaps this could be something the search engine kingpin hints at during its next event, which is expected to take place in early October. Though we're still waiting on a consumer version of Microsoft HoloLens, it appears the tech giant isn't sitting still with the AR tech. That's after a patent, originally filed in June 2016, appeared featuring a pen-like wand controller. The device comes with buttons and a trigger, as well as what looks like two ports on the rear. And of course, since this is a patent we're talking about, any additional information is also unclear. This could be a device set to pair with the Hololens, a next generation alternative… or it could fade into obscurity altogether. Stay tuned. After digging within the iOS 11 beta, Twitter user @_inside has discovered fresh details regarding the Apple HomePod setup. While nothing groundbreaking has been unveiled, we can now see the process of the setting the device up from an iPhone. Things we didn't know before: there's an option to choose a Siri voice (just in case you fancy mixing up the smart assistant's accent), a menu to select where the HomePod resides in your home and the choice to share settings from other devices.